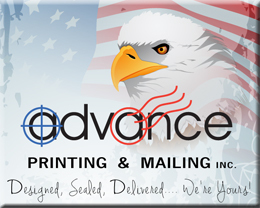 Logo Design / Branding – Advance Printing and Mailing INC.
Having a unique logo is vital to stand apart from other businesses. The logo is also responsible for building your company’s image and visibility in the corporate world. How the logo design services are beneficial for your business? So, relying on the logo design services is the smartest way to come up with an impressive and striking logo for the company, not just for the visual effect but for the desired growth.